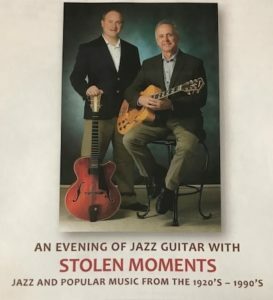 Stolen Moments plays a unique blend of jazz standards, originals, and popular music from the 1920’s through the 1970’s with a few choice favorites from the 80’s and 90’s. The duo’s original arrangements offer a fresh look at these time honored classics. Every Sunday from 10 AM – 2 PM.